Toyota of Newnan offers a wide selection of used vehicle specials for those wanting to save on a future purchase. We have pre-owned Toyota specials as well as used specials for other car makes such as Nissan or Chrysler. If you’re interested in trading your current vehicle for a high quality pre-owned model, use our Toyota trade-in tool to learn the value of your car. Be sure to schedule your Toyota test drive appointment to take your favorite model out for a spin. 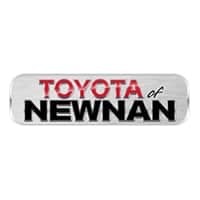 Contact Toyota of Newnan online with any questions or stop by 2 Herring Road in Newnan, GA to get started today!